Associate Professor David DeMatthews will be directing the Urban Principal Leadership Academy. Associate Professor Rebecca Callahan will be co-directing the Educational Policy and Planning Program along with Huriya Jabbar. Callahan came to us from the Department of Curriculum and Instruction here at UT Austin. Assistant Professor of Practice Sylvia Reyna will be the assistant director for our Cooperative Superintendency Program. Manuel Justiz and Marilyn Kameen will re-join our faculty later this year. Justiz and Kameen recently left their roles as dean and senior associate dean after 28 years of leading the College of Education. We are honored to have them as part of our ELP faculty. We also welcome several new (and returning) adjunct faculty members to our department, including Amanda Brownson, Matt Giani, Trinidad San Miguel, Mylon Kirksy, Pat Pringle, Linda Lee, Cassandre Alvarado, Betty Jeanne Taylor, and Jenna Cullinane Hege, all of whom will be teaching classes this semester. Finally, please help me welcome our newest administrative associate, Jacquece Gray. Be sure to stop by our suite to welcome her. Ericka Roland has joined us as our new postdoctoral scholar along with Nydia Sanchez for the 2018-19 academic year. We are fortunate to have them both on board. There are many more exciting updates to share in the coming year. We have redesigned the Urban Principal Leadership Academy to build stronger connections to urban school districts across the state. We also have redesigned our Ed.D. in Higher Education Leadership into an “executive-style” program for working professionals, to be launched in the coming year. Monthly Chair’s Office Hours will continue this year on Sept. 4, Oct. 2, and Dec. 4. Stay tuned for more details. The ELP Student Advisory Council will convene throughout the year, co-chaired by Jennifer Holme and me. Please email us if you are interested in serving on the ELP Student Advisory Council. Our convocation is tentatively scheduled for Thursday, Oct. 11. More details will be forthcoming. 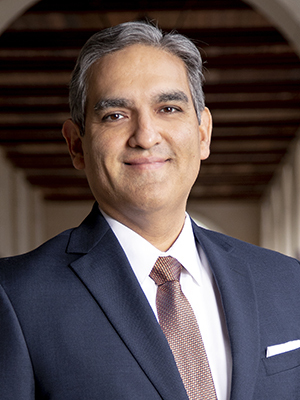 Finally, I offer a welcome to Charles Martinez, who will officially begin his term as dean of the College of Education on January 1, 2019. He recently spent some time with our faculty and staff, and it is very evident that he is excited about joining our college and our ELP community. We look forward to officially welcoming him in January and working with him to build on our great legacy. Stay tuned for more information in the coming months. I wish you all a great beginning to the 2018-19 academic year. Hook ‘em! Listen to an interview with Victor Sáenz on the Talking Eds podcast to learn more about his background in higher education.